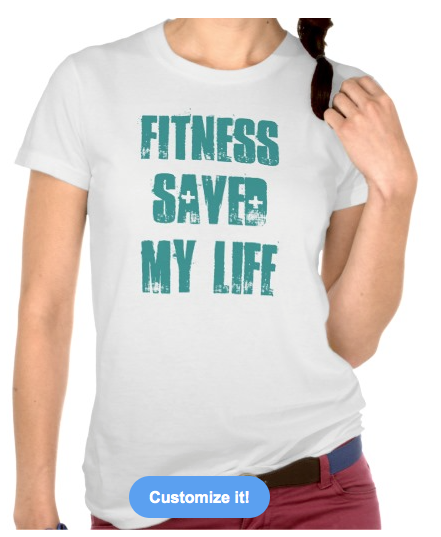 Fitness saved my life written is faded block lettering. There are ambulance like crosses within the text. 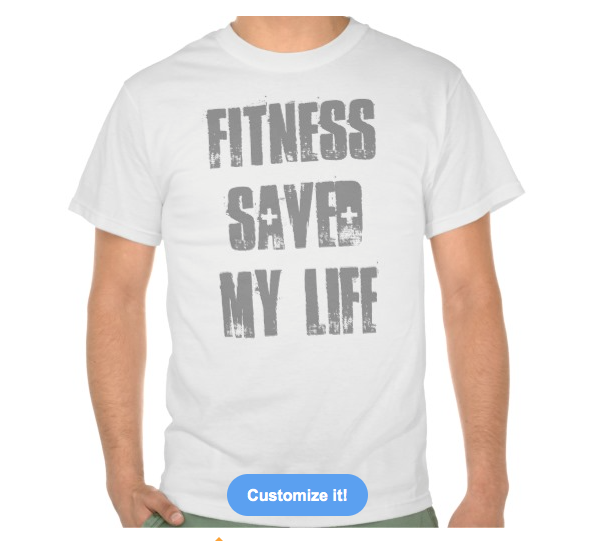 This is a fitness inspirational slogan.